This sign is for Vicks Vapor Rub. The sign’s colors are red, blue and white. 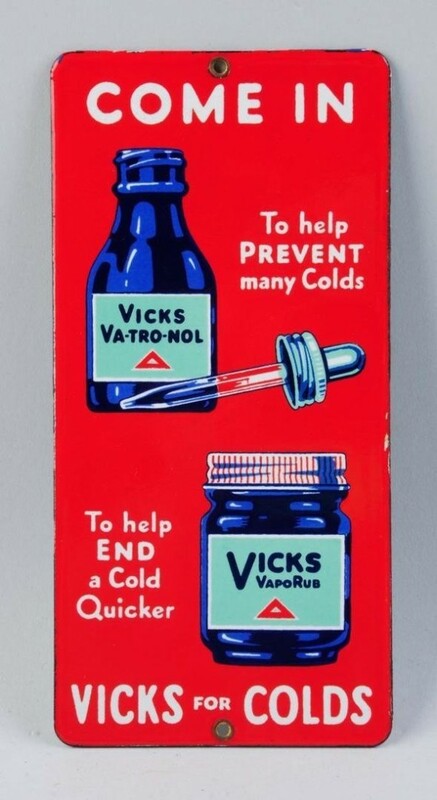 The text on the sign reads: Come in to help prevent many colds to help end a cold quicker Vicks for colds. The sign shows two medicine bottles with text surrounding.